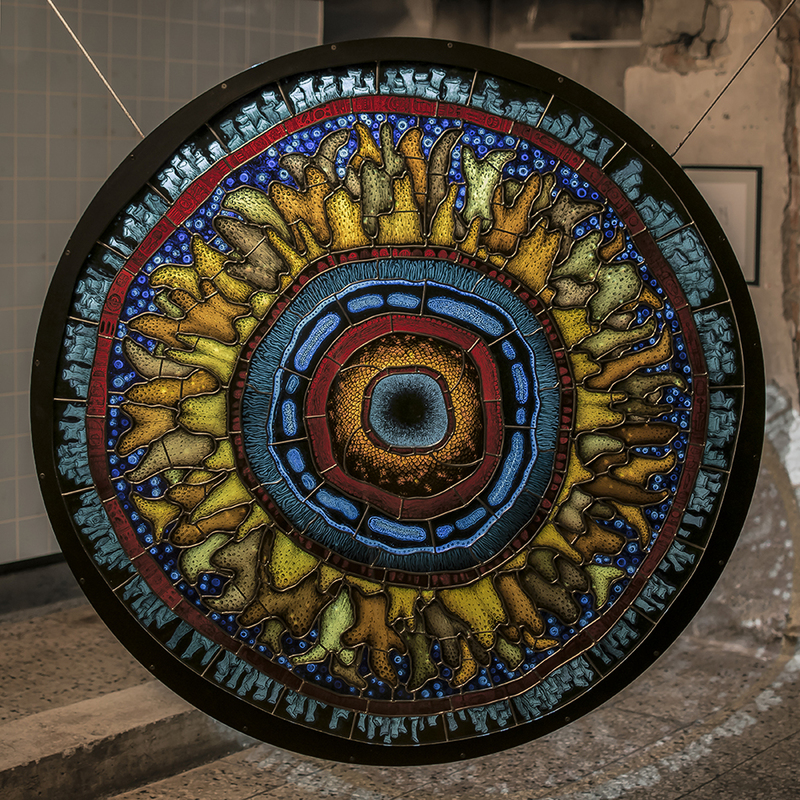 In the multimedia installation a traditionally manufactured hanging stained glass pane is used as a screen for rear projection mapping. 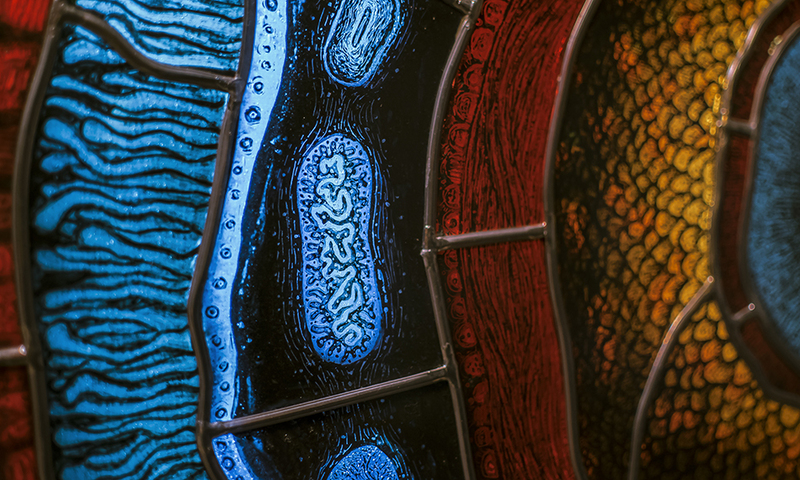 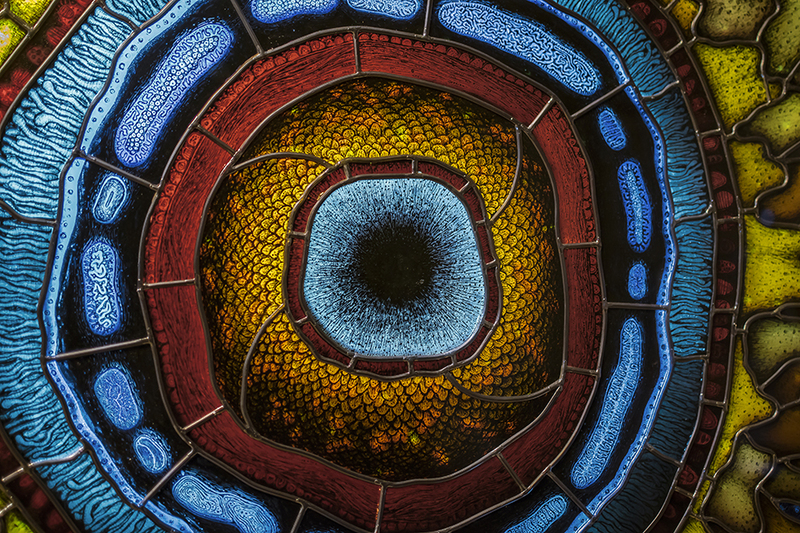 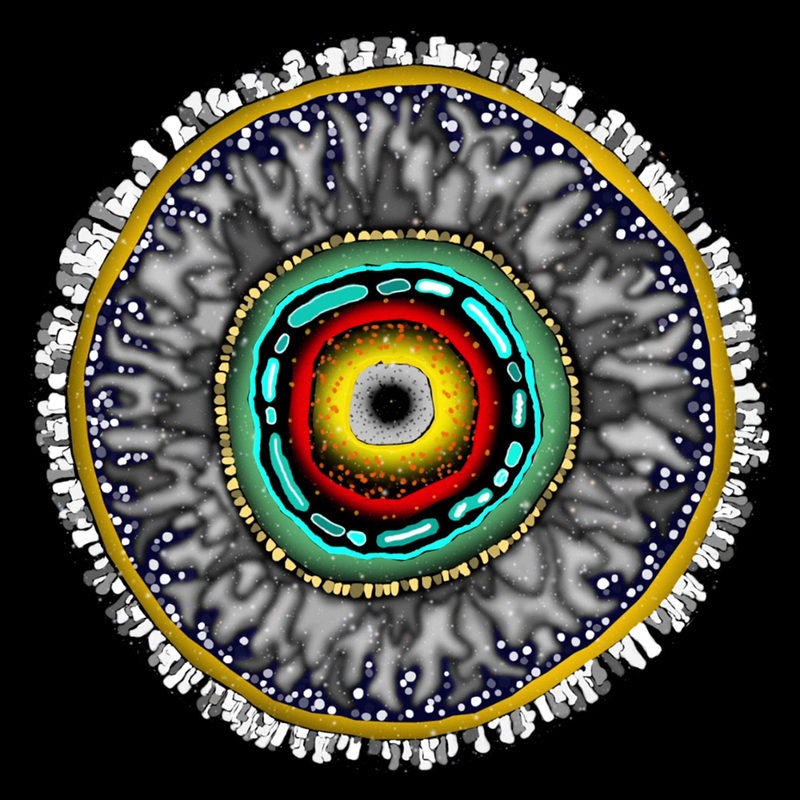 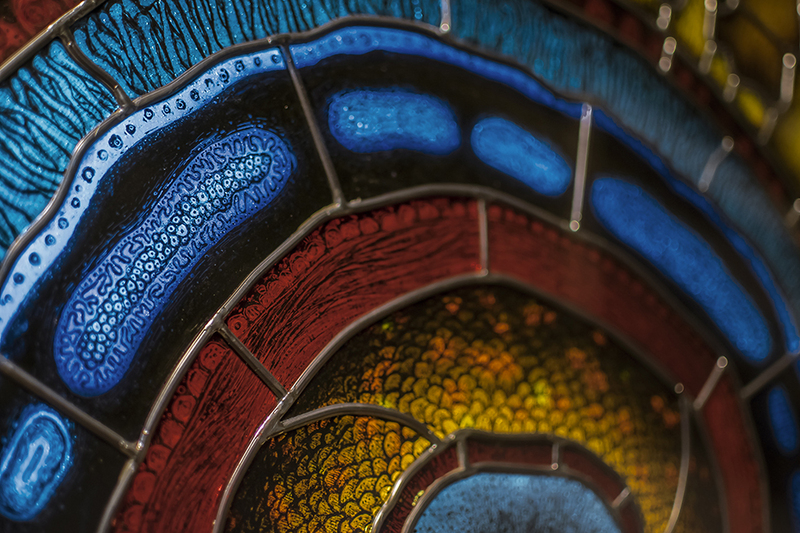 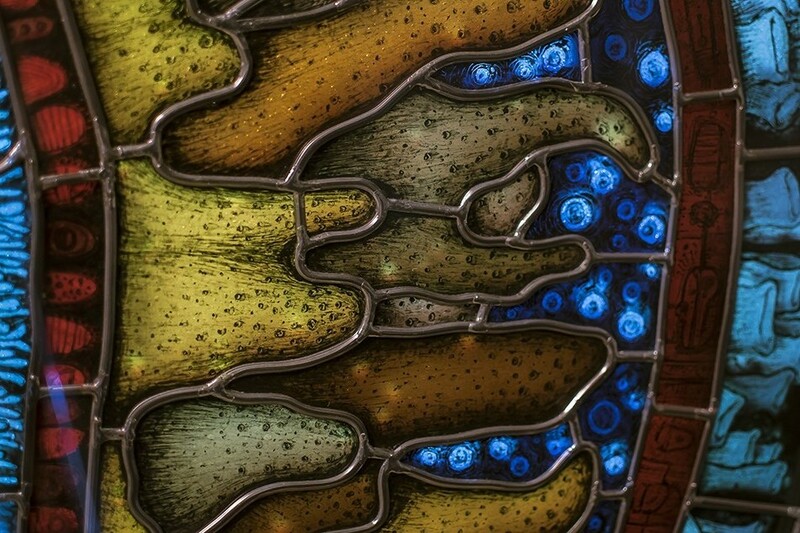 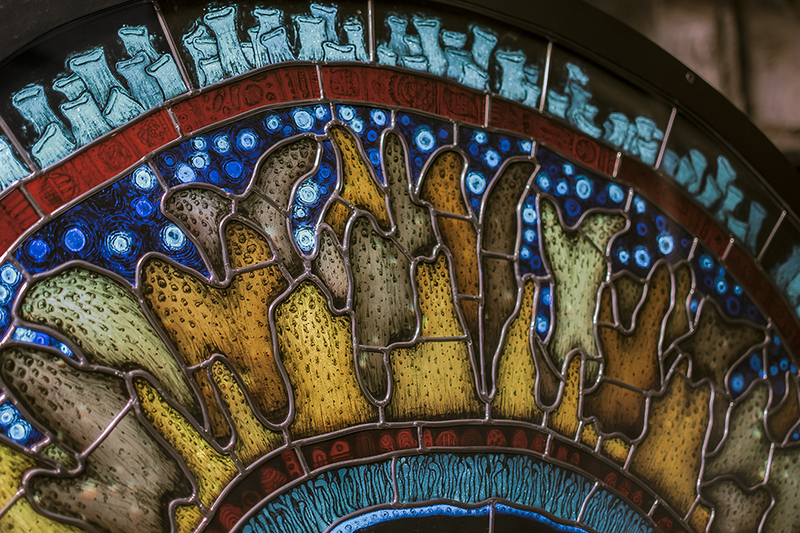 Thereby the densely painted and abstracted depiction of a cell that is shown by the stained glass piece blends with digital animations. 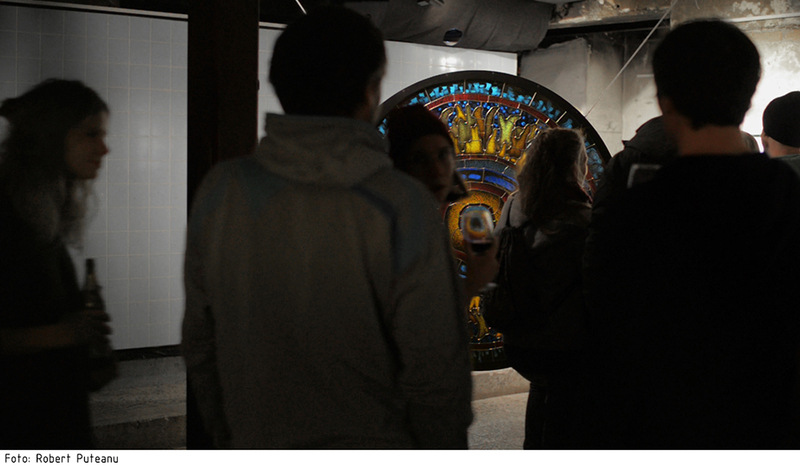 The sculpture was created in search of direct ways to convey a subjective perspective on intense mental and physical experiences to the viewer and with the intent to contemporarily reinterpret a craft that goes back to medieval times. 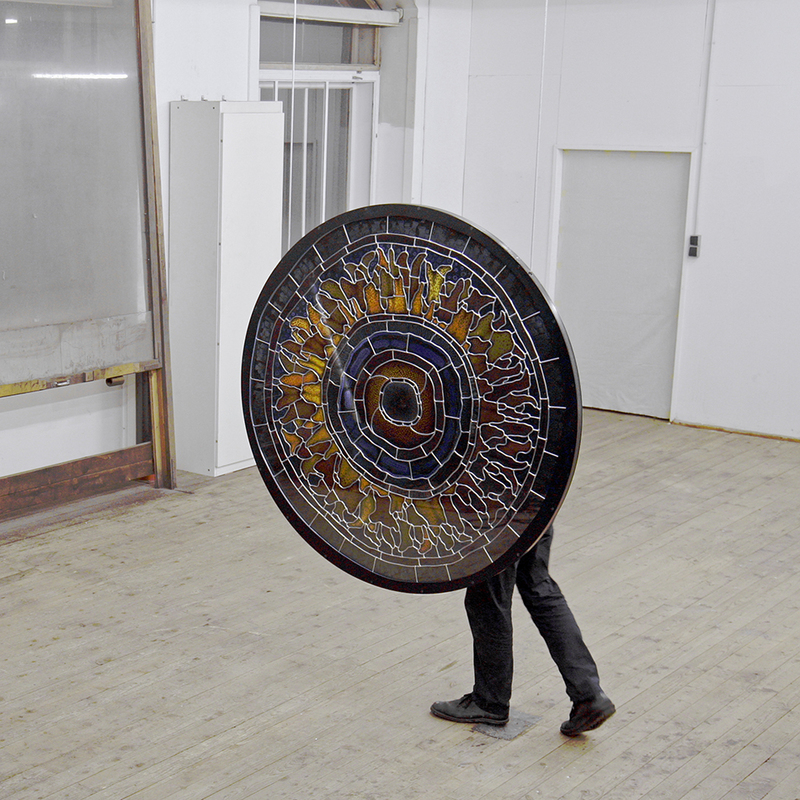 The circular metal frame has a diameter of 1.5m and sandwiches the stained glass piece in between two safety glass panes. 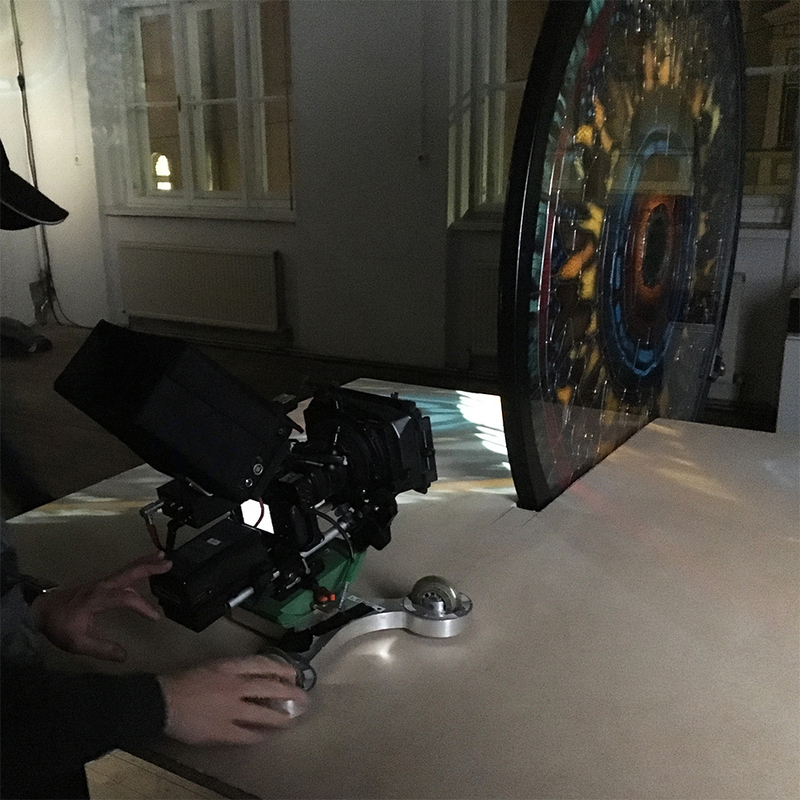 On the rear pane a so-called transparent holographic projection film is mounted to preserve the translucent character of the sculpture while at the same time making it suitable for projections. 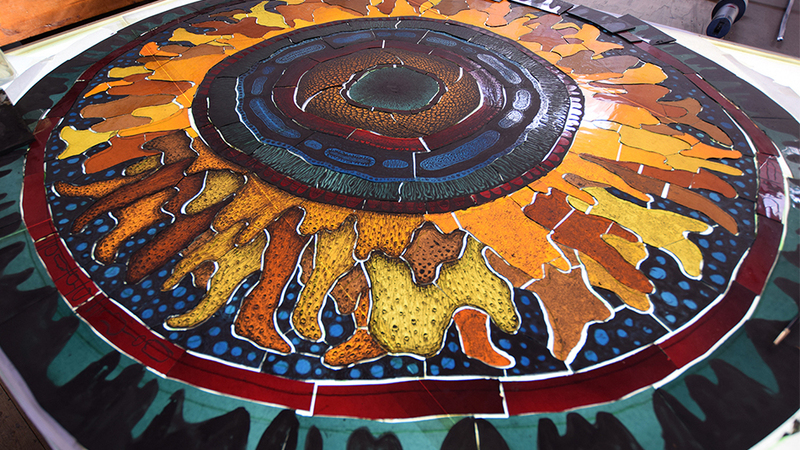 In order to evenly distribute light on the disc, two projectors have been set up sidewards behind the sculpture.